This deserves special consideration. Worth reading carefully and thoughtfully. 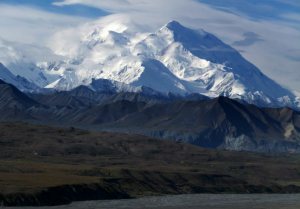 What does it matter to the world if the President of the United States decrees a change to the name of North America’s highest mountain peak? Perhaps it is merely a tempest in a teapot, ultimately signifying nothing of importance. Or perhaps it is far more significant than we may imagine. Previous PostThree way Skyping!Next PostShabbat Shalom!